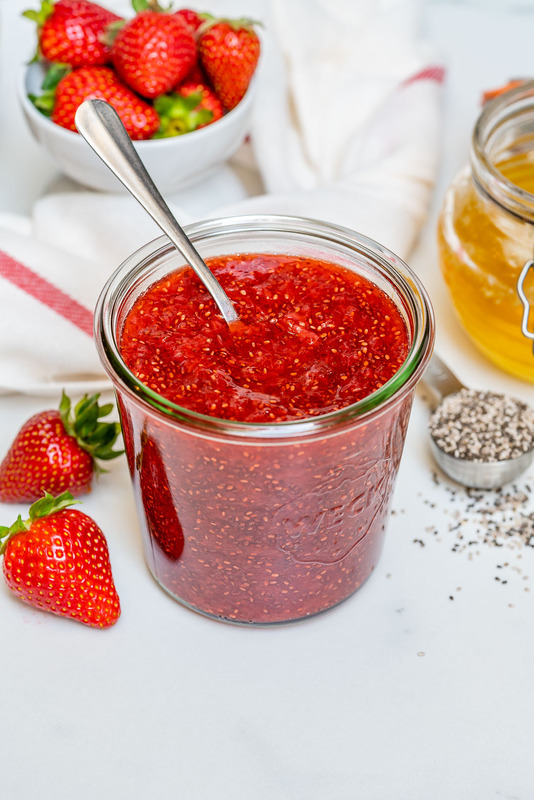 This Healthy Chia Seed Strawberry Jam Only Has 3 Ingredients! 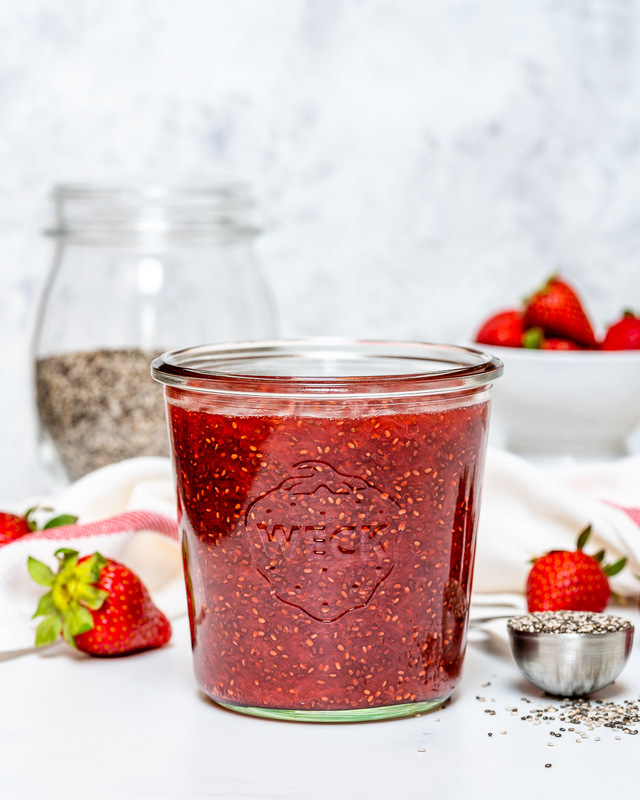 Chia Seed Strawberry Jam 🍓This is such an incredibly SIMPLE recipe to make a beautiful, nutrient packed Strawberry jam. 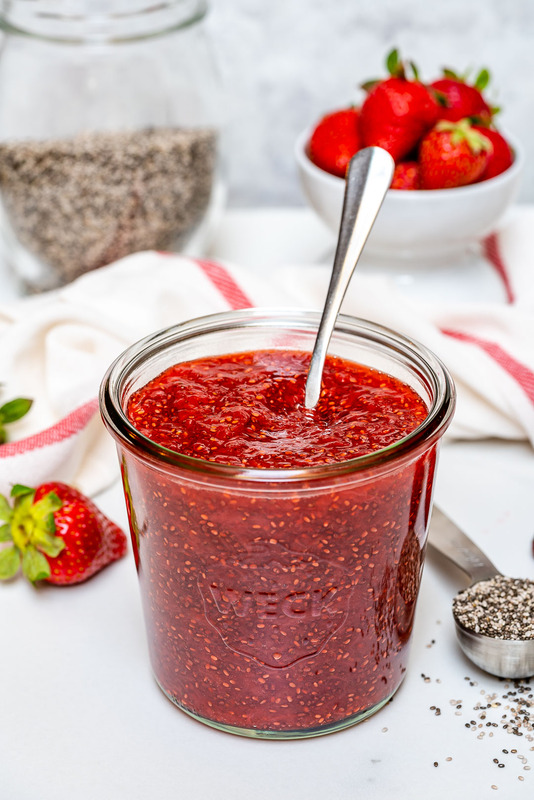 Just 3 ingredients, and you get to KNOW what is in your jam. 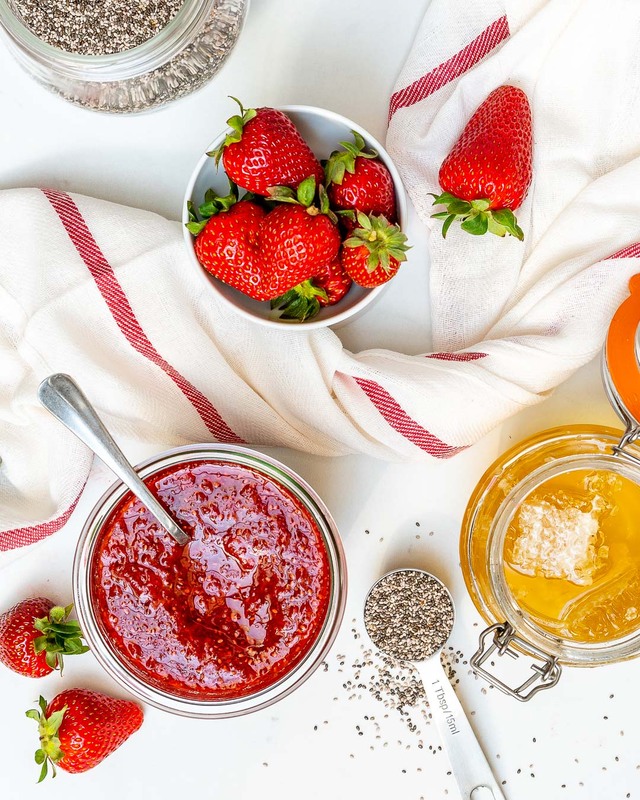 Add strawberries and honey to a medium saucepan then place it on the stove over medium heat. Cook until bubbly stirring constantly. Once the strawberries have softened mash with a potato masher. Add in the chia seeds and stir well to combine. Lower the heat down to low and cook for an additional 10-12 minutes, stirring pretty consistently. Allow the mixture cool, then pour into mason jars, cover with a lid and refrigerate. 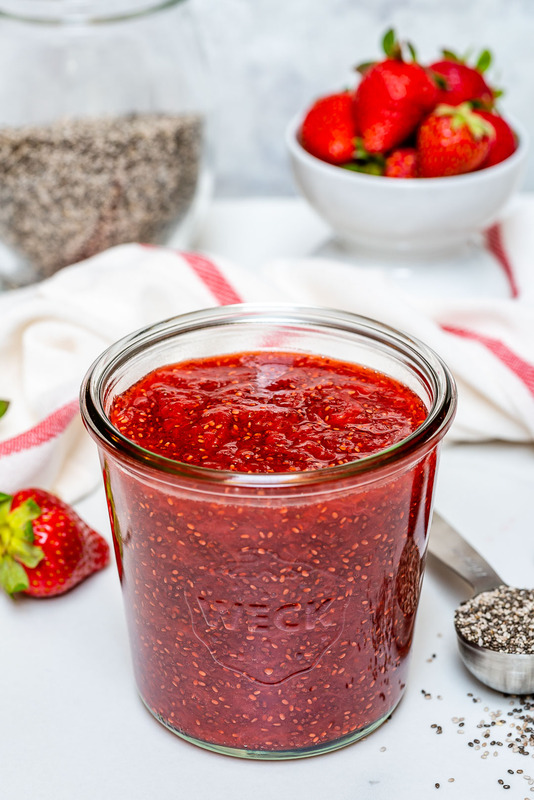 The jam will achieve the perfect texture overnight as the chia seeds require a bit of time to absorb all the liquid. 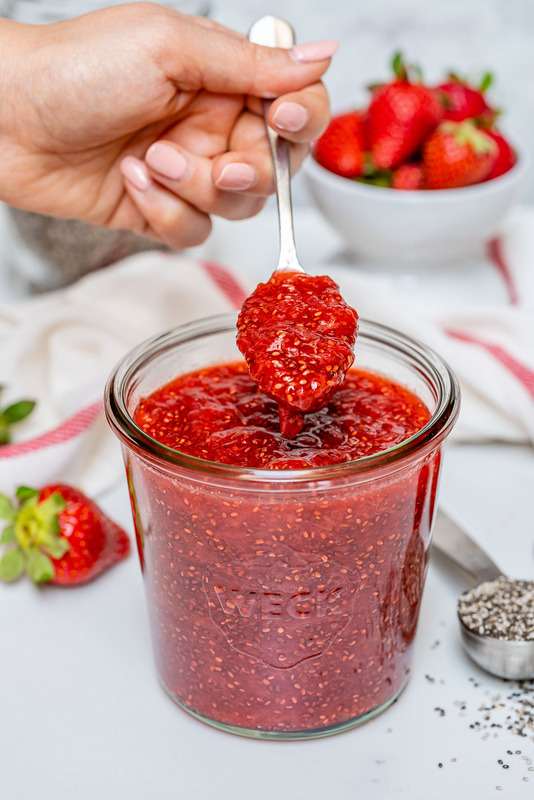 Keep your jam refrigerated for use up to 2 weeks. ❤Rachel Add strawberries and honey to a medium saucepan then place it on the stove over medium heat. Cook until bubbly stirring constantly. Add in the chia seeds and stir well to combine. Lower the heat down to low and cook for an additional 10-12 minutes, stirring pretty consistently. Allow the mixture cool, then pour into mason jars, cover with a lid and refrigerate. 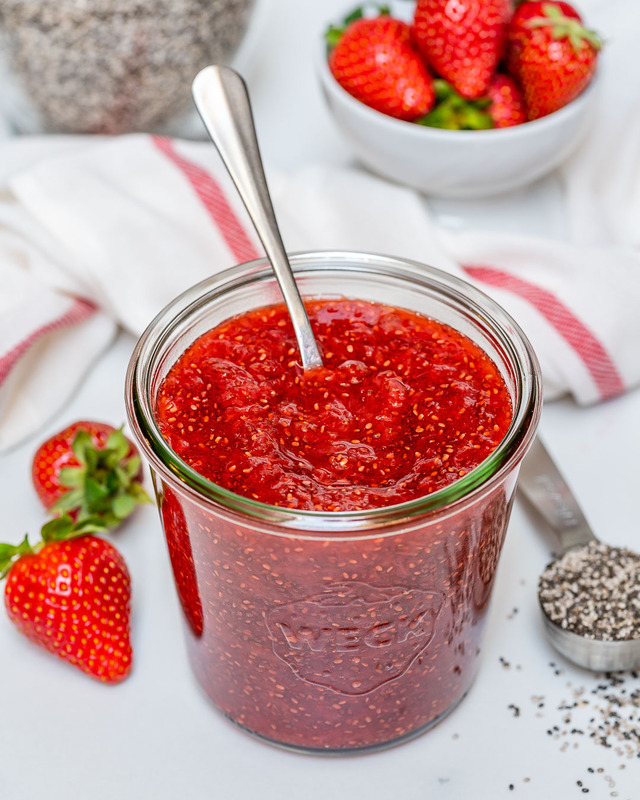 The jam will achieve the perfect texture overnight as the chia seeds require a bit of time to absorb all the liquid. Keep your jam refrigerated for use up to 2 weeks.